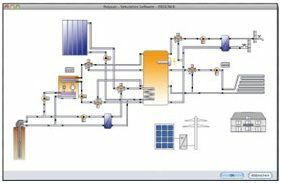 With our industry leading Polysun Simulation Software we can help you design a Zero Energy Home by providing you with an accurate simulation based on your geographic location. This simulation will take into account the average sun radiation, wind, outdoor temperature and soil conditions. With this we can show you the estimated savings before you begin your Zero Energy Home Projects.